Neuschwanstein Castle is a 19th-century Romanesque Revival palace on a rugged hill above the village of Hohenschwangau near Füssen. The palace was commissioned by Ludwig II of Bavaria as a retreat and as an homage to Richard Wagner. 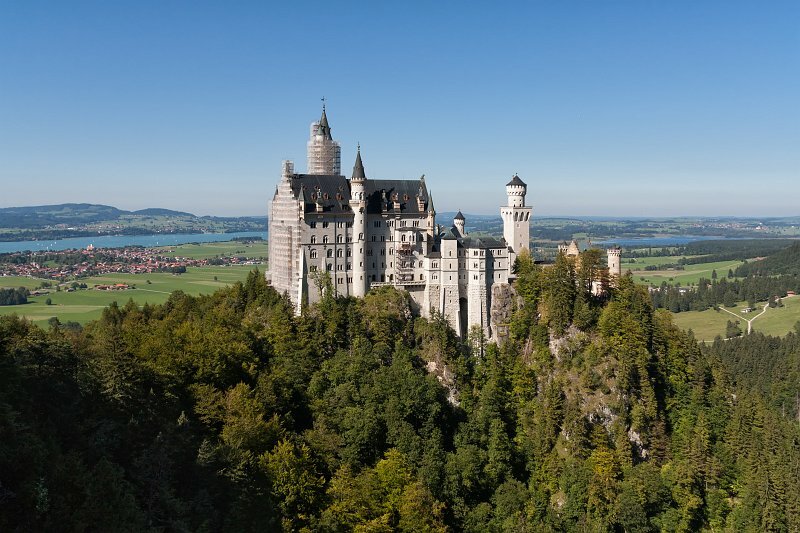 More info can be found in the official website of Neuschwanstein Castle.